Every 15,000 miles or annually. 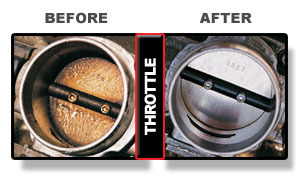 Available in 2, 3 and 4 step kits, the Run-Rite formula is proven to remove carbon buildup from injectors, valves and combustion chambers. 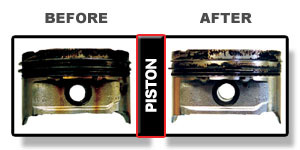 It loosens and removes gums, coking, dirt and deposits from the engine to provide better performance and fuel economy in modern engines and fuel systems. 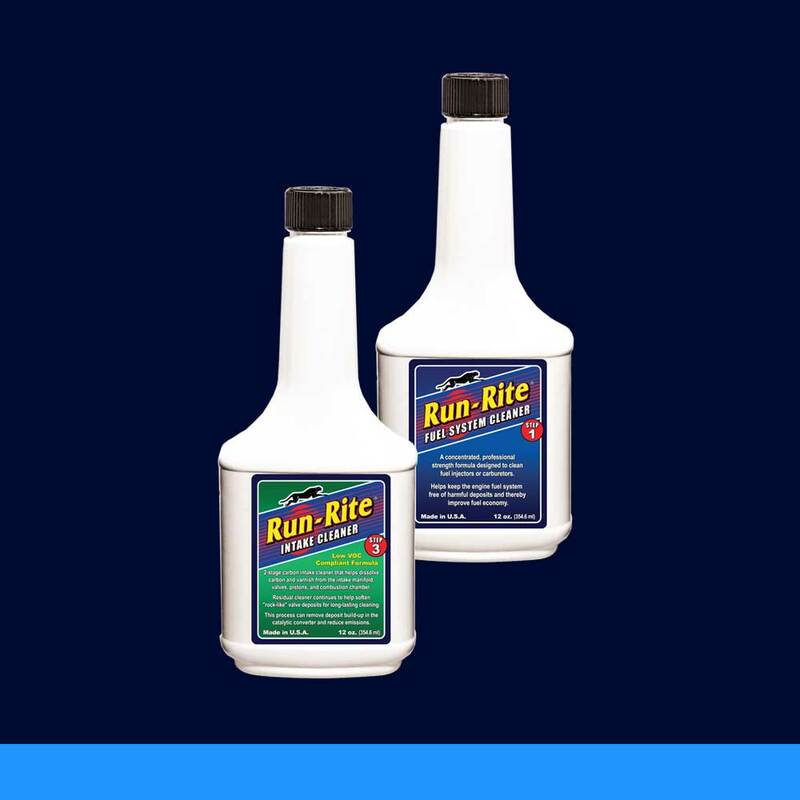 Run-Rite formulas are LOW VOC COMPLIANT. 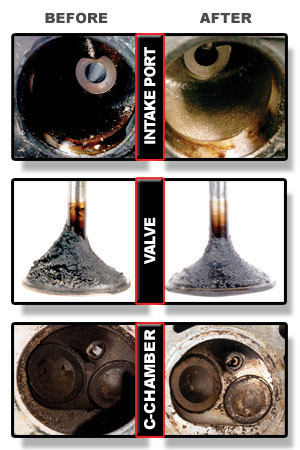 They also DO NOT CONTAIN ALCOHOL or METHANOL, and utilize the finest detergent additives available. Run-Rite is oxygen sensor safe, won’t harm coated or sensitive parts, and can be used on all gasoline powered combustion engines. 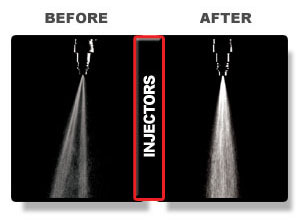 This includes multec and “pintle-less” injectors. Run-Rite cleans safely, quickly and effectively. Click on the Product Options tab to find the perfect kit! 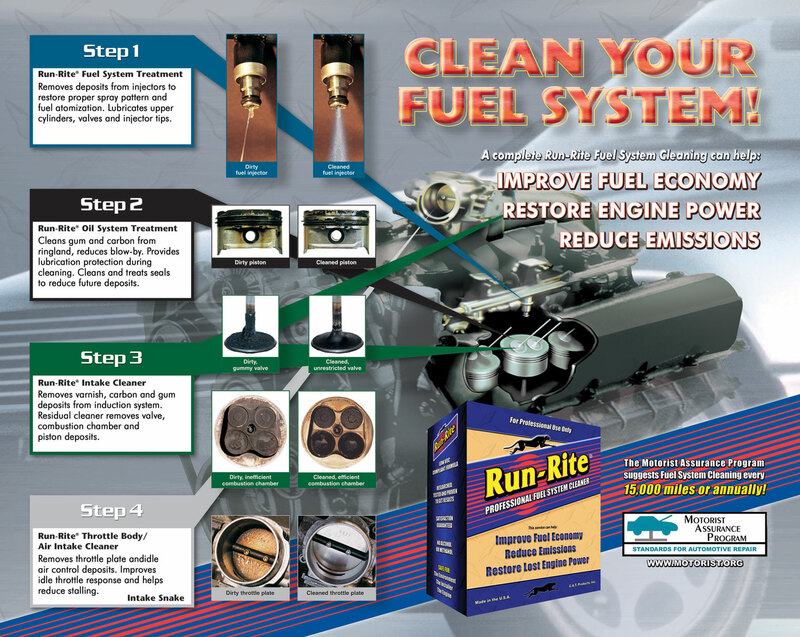 This video presentation will explain the complete Run-Rite 4-Step Fuel System Cleaning process. Contact us today for more information! This is a 30 second television commercial promoting the Run-Rite Professional Fuel System Cleaning service.